This article is about the album by Mike + The Mechanics. For the song, see The Living Years. For the One Tree Hill episode, see The Living Years (One Tree Hill episode). Living Years is the second album by Mike + The Mechanics, released in 1988. The album reached number 13 on the Billboard 200 and number 2 on the UK Albums Chart. Mike Rutherford began writing songs for the album in September 1987, shortly after the conclusion of Genesis's Invisible Touch Tour. However, he found himself immediately stricken with writer's block, a circumstance he attributes to stress over the complications with his wife's current pregnancy, which nearly ended in the death of the child. The baby (Rutherford's third) was safely delivered in November, and Rutherford said that the relief made him feel "like a new man". In January he entered an extremely prolific songwriting period, and by the end of the month he had what he and producer/co-writer Christopher Neil felt was a good album's worth of material. In light of this, Neil wanted to move up the recording sessions, which had been scheduled for April. Rutherford vetoed the idea, however, and with his burst of inspiration still running, most of the songs that eventually appeared on the album were written over the next two months. The first single taken off the album, "Nobody's Perfect," peaked at number 63 on the Billboard Hot 100. The next single off the album, "The Living Years", was a worldwide number one hit, reaching that mark on the Billboard Hot 100 chart the week ending 25 March 1989. The song also reached number one on the Australian ARIA singles chart the week ending 13 May 1989. In the United Kingdom, it spent three weeks at number 2 in January and February 1989, behind Marc Almond and Gene Pitney's reworking of "Something's Gotten Hold of My Heart." The title song was co-written by Rutherford and B. A. Robertson, both of whose fathers had recently died. However, the lyrics were written solely by Robertson, and dealt with Robertson's strained relationship with his father and the birth of his son three months after his father's death. Paul Carrack, who would sing lead on the recording, had himself lost his father when he was only eleven years old, and he continues to feature the song regularly in his solo performances. A third single off the album, "Seeing is Believing", reached number 62 on the Billboard chart. Phil Collins and Tony Banks, Rutherford's Genesis bandmates, made a guest appearance playing the riff on "Black & Blue" (a sample by Banks of Collins and Rutherford playing a riff during the Invisible Touch sessions). The Living Years Deluxe Edition was released on 20 January 2014, featuring extensive liner notes by journalist Mario Giammetti, a new recording of the hit song with Andrew Roachford on vocals and a bonus CD of live and rare tracks. Allmusic's retrospective review summarised 'Slickly produced with rich vocals from Paul Carrack and Paul Young, The Living Years moves smoothly between anthemic ballads such as the title track and more up-beat numbers such as "Seeing Is Believing."' They commented that the album was inconsistent, however, at times venturing into genres that the group could not handle convincingly. King's House School Choir – choir on "The Living Years"
^ Mike + the Mechanics UK charts history[permanent dead link], The Official Charts. Retrieved 11 November 2011. ^ Neer, Dan and DeWitt Nelson (1988). Mike on Mike II [interview LP], Atlantic Recording Corporation. ^ Rothstein, Simon (18 June 2004). "The Mechanics fix it for Us". London: The Sun. Retrieved 8 December 2009. ^ Mike Rutherford Biography (Includes info on Mike and the Mechanics) Retrieved 6 December 2010. ^ a b Orens, G. (2011). 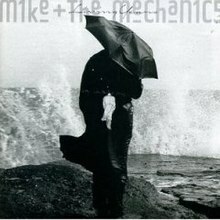 "The Living Years – Mike + the Mechanics | AllMusic". allmusic.com. Retrieved 25 July 2011. ^ "Australiancharts.com – Mike + The Mechanics – Living Years". Hung Medien. Retrieved 14 October 2012. ^ "Item Display – RPM – Library and Archives Canada". Library and Archives Canada. 31 March 2004. Archived from the original on 15 March 2016. Retrieved 14 October 2012. ^ "Dutchcharts.nl – Mike + The Mechanics – Living Years" (in Dutch). Hung Medien. Retrieved 14 October 2012. ^ "Officialcharts.de – Mike + The Mechanics – Living Years". GfK Entertainment Charts. Retrieved 14 October 2012. ^ "Charts.org.nz – Mike + The Mechanics – Living Years". Hung Medien. Retrieved 14 October 2012. ^ "Swedishcharts.com – Mike + The Mechanics – Living Years". Hung Medien. Retrieved 14 October 2012. ^ "Swisscharts.com – Mike + The Mechanics – Living Years". Hung Medien. Retrieved 14 October 2012. ^ February 1989/7502/ "Official Albums Chart Top 100". Official Charts Company. Retrieved 14 October 2012. ^ "Mike + The Mechanics – Awards: AllMusic". AllMusic. Rovi Corporation. Retrieved 14 October 2012.